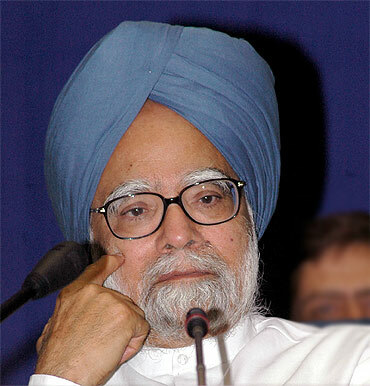 Rediff.com presents the preliminary transcript of Prime Minister Manmohan Singh's interaction with editors of the electronic media held in New Delhi on Wednesday, where he discussed a number of burning issues. It is real pleasure meeting you on this auspicious occasion when we are all celebrating the birthday of Hazrat Mohammad Shah. Today is Eid and on this occasion I would like to felicitate all our country men and women and extend my greetings. May this Eid bring, added peace and prosperity to the people of India. During the last couple of months, the media have drawn the country's attention to some aberrations whether in the form of allocation of 2G spectrum, the Commonwealth Games and more recently some developments in the Space organisation, Adarsh society affairs. I think media have played a very important role in drawing the country's attention to these issues which require corrective action. I wish to assure you and I wish to assure the country as a whole that our government is dead serious in bringing to book all the wrong doers, regardless of the position they may occupy. However I would like to say that in projecting these events an impression has gone round that we are a scam-driven country and that nothing good is happening in our country. In the process, believingly, I think we are weakening the self-confidence of the people of India. I don't think that it is in the interest of anybody in our country. We have a functioning government, and whatever some people may say that we are a lame duck government that I am a lame duck prime minister, we take our job very seriously, we are here to govern and to govern effectively, tackle the problems as they arise and get this country moving forward on a pace of development which would do justice to the demands being made on the process of governance. I wish to tell you that our economy is in good shape. We will have a growth rate of 8.5 percent this fiscal year and that the way India has come out and tackled the aftermath of international financial crisis, I think does our country a great credit. 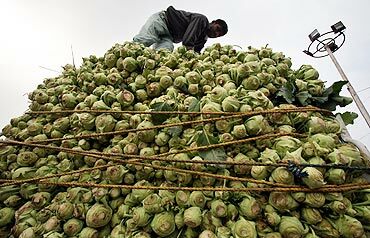 It is certainly true that in recent months inflation and food inflation in particular has been a problem. We want to deal it in a manner that the growth rhythm is not disturbed. If we were concerned with only curbing inflation I think we could have done it by pursuing tighter monetary policies, we could have brought about a situation where price rise could be moderated. But if in the process, growth process gets hurt I think that would not do our country any good and we are trying to deal with inflation at a time when we don't have all instruments at our command in the sense that we do not have control over international events. We are now increasingly an open economy and the oil prices are rising, the food prices are rising, commodity prices are rising, we have to deal with inflation despite an adverse international environment and you have my assurance that we will succeed. And at the end of the fiscal year, the inflation rate should come down to no more than 7 percent. Also I would like to mention that internal security of the country has been a great concern. I wouldn't like to say that we are not worried about terrorist acts. We are better prepared to deal with acts of terror and prevent many potential terrorist acts and I think the Government deserves some credit. In the North East, things are getting normalised. Talks are going to begin with ULFA (United Liberation Front of Asom) and the ULFA leadership having decided to give up the path up violence is a welcome development which will have far reaching consequences for the growth process in our North Eastern states. In same way, in J&K, after some turbulence there are I think signs we are getting the situation under control and that the people of J&K can look forward to orderly development of development processes. A number of committees are working to chart out that path and Dr Rangarajan is preparing a report on the employment aspects, and if that report is implemented, it would bring a fresh ray of hope to young people in J&K who are eagerly searching for productive employment opportunities. As far as the external situation is concerned, I think this fiscal year, all the top leaders of the five permanent members of (United Nations) Security Council have visited our country. This has never happened before and the world today appreciates that India is a democracy, a functioning democracy, committed to the rule of law, committed to respect of fundamental human rights, is trying to seek its economic and social salvation in the framework of democracy and rapidly expanding the economy too. Wherever I go, people marvel that there is a country like India, a country of a billion people, a functioning democracy, committed to the rule of law, committed to respect for all fundamental human freedoms and yet managing to grow at the rate of 8-9 per cent per annum. People marvel that this can be done and whatever our own domestic weaknesses I think, we should not create an atmosphere whereby the nation loses its sense of self confidence. The media has an obligation, the government has an obligation, the Opposition has an obligation that we work together in a spirit that India as a whole has to march forward. Parliament has not been allowed to function for reasons which I am not able to understand. But we are making an honest effort to ensure that the next session of parliament will be an orderly session. We have important legislations apart from the budget to put before parliament and talks are going on with the opposition parties to ensure that whatever our differences, parliament should be allowed to function normally. So I would wish to mention to you that in reporting the affairs of our nation, we mustn't focus excessively on the negative features important though it is that the government should deal with them, to take effective action and you have my assurance that wherever such corrective action is required, our government will take that action and will bring the wrong doers to book. With these words, I once again welcome you to this session of interaction. The media has, as I said, a very important role to play in a functioning democracy that India is and let us work together to revitalise the spirit of rejuvenation, spirit of self confidence that we have problems, but we also have credible mechanisms to overcome them. We shall overcome, we shall prevail. We will provide our country a functioning effective government and that's what I wanted to say in the very beginning now the floor is entirely yours. Please click NEXT to read what PM told editors..
Aaj Tak, Arun Purie: Mr Prime Minister, thank you for inviting us for the interaction. I hope you have more of them. I am sorry to take you back to the 2G scam although you have said that it should not be a scam oriented coverage and you have taken some very positive steps and as you have just assured us that you will get the wrong doers of the 2G scam. Just for my better understanding of how we got into this situation, you had warned Mr Raja in November 2007 to consider auction of the 2G spectrum at 2007 rates and he actually disregarded your advice. And later on in 2008 the companies which got the spectrum sold it for large sums of money, the values which are in the public domain. Inspite of all this you appointed him again as the Telecom Minister. What was your thinking behind this? Let me first deal with what I said to Mr Raja in a letter that I wrote to him on November 2, 2007. I mentioned in that letter number of concerns which were being expressed, some in the press, some telecom companies used to come and mention to me. I listed a number of issues and I said to him that you must look into these issues and ensure that they are dealt with in a fair, equitable and transparent manner. One of the issues that I asked him to look into was the possibility from legal and technical angle of having an auction of spectrum. Mr Raja wrote back to me almost on the same day, or our letters crossed. He said, I have been absolutely transparent in my dealings, I will be so in the future, and you have my assurance that I have done nothing and will do nothing which will not be consistent with the promise that I am making. Now as far as auction is concerned, he came back to me and said auction is something which has not been suggested by TRAI (Telecom Regulatory Authority of India), also not suggested by the Telecom Commission and he also said that if we have an auction, it would not give a level playing field for the new comers, because the existing players have got their spectrum free of charge of about 10 megahertz. Therefore he said the TRAI's advice, Telecom Commission's advice and his own view was that auctions are not the way forward at least for 2G spectrum and he also mentioned in a subsequent letter that he is agreeable to auction of 3G spectrum. But with regard to 2G spectrum, he was very clear that he should stay with the then existing approach. And this was also discussed with the finance ministry because in terms of the Cabinet decision of 2003 the pricing and allocation of spectrum was to be settled between the ministry of finance and the telecom department. Initially, of course, the finance ministry did ask for a high price of spectrum but after many discussions, the two ministries agreed that as far as 2G is concerned, we have to live with the present system particularly with regard to the amount of spectrum that is built and embedded into a license agreement. So this is the background why I did not proceed further with this matter of pricing of spectrum, because if the ministry of finance and ministry of telecom both agree and they have the obligation of the cabinet decision of 2003 to decide on the matter and also since TRAI is an expert body and Telecom Commission has experts, if all of them are of the same view, I did not feel I was in a position to insist that auctions must be insisted. Sale of spectrum 2 companies even before roll out, a scam was staring everybody in the face ? I do not know, frankly speaking what was the motivation of people who got spectrum but I know that as far as the basic policy is concerned, that I thought was as it was then the prevailing practice and Raja was continuing that policy, that as far as who gets licenses, the first come first serve policy, how it was implemented, that was never discussed with me. Licenses was not matter which got referred to me or to the cabinet that was the decision exclusively of the telecom minister. Now subsequent events have shown that companies sold their equity but I was told that they had not sold it to shareholders. They have sold it in a manner to dilute the equity of the promoters. Now if they have to roll out they require money, and that money can be raised either by way of borrowings, or by way of diluting equity by getting in more people. Therefore at that stage I did not think that I should intervene in that affair. The other thing that you have mentioned about Mr Raja being inducted into the cabinet, I cannot divulge what went on in the processes of cabinet formation but I would like to mention that we are a coalition government. In a coalition government, you can suggest your preferences but you have to go by what the leader of that particular coalition party ultimately insists. 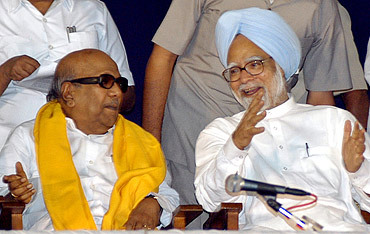 And Mr Raja along with Mr Maran was the choice of the DMK (Dravida Munnetra Kazhagam) party. And as of that moment, I had no reason, frankly speaking, to feel that anything seriously wrong had been done. And therefore I did not feel that I had the authority to object to Mr. Raja's entry because I quite honestly in May 2009, although complaints were coming from all sides, and some were from those companies which had not benefitted, some were from those which had benefitted but not benefitted adequately and therefore I was not in a position to make up my mind that anything seriously was wrong with Mr. Raja's doing at that time. Asianet, Prashant Raghuvamsam: Five states are going for elections soon. And you are back from Kerala, what is the feedback about the chances for your party in Kerala? And another question one of the hot subjects is corruption in judiciary, there are allegations even against a former Chief Justice. 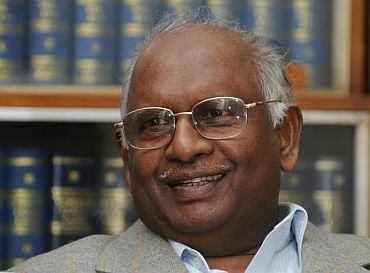 Justice Krishna Iyer says that you are silent on this matter. How will you react to this? I just come back from Kerala. I do believe that the Congress party has a very good chance to return to power. Winds of change are blowing that way and I hope this change will materialise. With regard to corruption in judiciary, corruption in any walk of life, whether it is in judiciary, executive, legislature, should be a matter of concern to all thinking people in our country and therefore I am second to none, in saying that if there is corruption, whether it is in judiciary, or in executive or in other walks of life, we must get rid of that. Bloomberg-UTV, Pranjal Sharma: No positive, constructive economic agenda. What ever steps are being taken are being stalled at the parliament level, stalled by the states or by the opposition parties or even in some cases by industry. No big reformist wave coming from UPA2. Have we lost the will to take hard reformist decisions? No way, we have not lost the will. We will persist. There are difficulties when Parliament is not allowed to function. When the opposition led states for example do not wish to cooperate over path breaking reforms ushering in single goods and services tax. This is the reform which is needed. This would make our tax system if the reform comes about, an envy of the world. But the opposition parties, particularly, the BJP has taken a hostile attitude and the reasons that have been given, frankly I cannot mention it in public, they say because you have taken some decision against a particular person, who was a minister in Gujarat, we must reverse it, I don't want to add further. The economic agenda is there. We are for example working on a Food Security Bill, the Right to Education Act is now a reality, the ICDS reform is a reality. There have been reforms in the National Rural Health Mission. Same way, we are going to have a fresh wave of infrastructure investment, with the help of the new PPP model. These are not big reforms. And I sincerely hope that in this current budget, you will see a clearer picture of the reform agendas that our Government has. We have not given up, we will persist, when there are difficulties, and particularly when Parliament is not allowed to function, I think Parliament is not able to perform its essential function, being a forum for legislation, you all would agree that that's one area where our nation has to rethink how our parliamentary institutions should function. CNN-IBN, Rajdeep Sardesai You have said that you would like the Parliament to resume functioning in an orderly manner. Are you therefore, on your own part ready to agree to the opposition's demand for Joint Parliament Committee into the 2G scam, because there is feeling that there was a reluctance both on your part and the part of the government because you did not want to appear in front of a JPC in the context of the 2G scam and as a supplementary through these months of scams tainted have your ever thought of quitting or actually being so frustrated that you feel that your are surrounded by a lot of corrupt people in your Cabinet and therefore have you every thought of throwing your hands up and saying that enough is enough? While you have raised about my opposition to the JPC of being afraid to appear before it. I am not afraid of appearing before any committee. The PAC (Public Accounts Committee) is a joint parliamentary committee presided over by a very senior member of the opposition. I have publicly declared that I am willing to appear before the PAC. So I am not afraid of appearing before any committee including a JPC. And this is entirely a wrong impression that I was the one who was blocking the agreement about the JPC because I did not want to appear before the JPC. I have always said that as Prime Minister my conduct must be like Caesar's wife above suspicion and I am quite prepared to appear before any committee that may go into this. Did you at any stage think of quitting ? And would you concede that there are a lot of corrupt people in your government and you are not able to act against and that led you to believe that enough is enough? I think in a coalition government there is a coalition dharma and obliviously the things are not entirely the way I would like them to be but quite frankly I have never felt like resigning because I have a job to do. The country voted our party to be the leader of the UPA coalition and we have a lot of unfinished business to accomplish and therefore I have never thought in terms of giving up half way and I will stay the course. Al Jajira, Prerna Suri: I would like to talk about current unrest in the Middle East. Do you have any worries that the unrest is seen in the middle east right now might resurface here in India in any rest of regions be that J&K, in North east, or any other areas under Maoists rebels as well and my supplementary is also that that the Arab world is witnessing a revolution at the moment, do you support the new movements that new are coming up in Iran, in Yemen, in Algeria or Bahrain? Well, Whatever happens in the Gulf or West Asia including the countries that you have mentioned is a matter of concern to us. We have five million Indians working in the Gulf countries and if peace is not prevalent, if orderly processes of the management of the economy and polity break down that could affect this vital community to Indian citizens who are working and contributing to the development of the countries of West Asia. Now the other questioned you have asked that there is a danger something like that happening in India, no, because India is a functioning democracy, people already have a right to change governments, we have a free press, I think even when that the government didn't agree, I think, they are free, absolutely free to pursue what the path that they want to pursue and therefore there is not question the thing that have happened in Egypt or in other Arab countries can be replicated in India. And Sir, do you support the current revolution in Middle East? Let me say IF the people of Egypt want to move towards the processes of democratization, they have our good wishes. And that's true of all countries. We have a functioning democracy, do we do not believe it is our business to advise other countries, we welcome the dawn of democracy everywhere. Doordarshan, Neelam Sharma Kehte hai ki girte hain shah sawar maidane jang me, wo tifal kya girenge jo ghutno ke bal chale. Sarkar ki apni chunauti hain aur sarkar un chunautiyon se nipatne ki puri koshish bhi kar rahi hai aur bhrashtachar aapki is samay sabse bari chunauti bani hui hai lekin log yah dekhna chahti hai ki bhrashtachariyon ko saja mile. Log ye chahte hain ki wo apne jiwan kal me aisa hote huye dekhe. Kya aapko nahi lagta ki ye is samay iss sandesh ko dene ki sarkar ki sabse bari jarurat hai. Main aapke madhyam se Bharat ki janta ko yah wada deta hu ki hum puri koshish karenge ki jo logo ne kuchh galat baat ki hai unko jaroor unki kari saja milni chahiye. E-TV, Sriharsha: As a question about this Telangana a vexed problem -- it has been lingering for quite sometime and there is a complain that Congress seems to be undecided on the issue. And where does the Congress stand on this, and what about the government policy because the Srikishna committee has submitted its report. Till now the process of dialogue is continuing but no decision has been taken yet. I think this is a complicated issue and we are trying to evolve a consensus. The home minister has one round of meeting with all the political parties, he will call these political parties again because the first round was just handling over them the Srikrishna committee report. Now they are studying it. After that will come the phase of consultation with all political parties who are active in Andhra Pradesh, that process will must be allowed to be pursued to its logical conclusion. If there is no consensus Mr Prime Minister, what will be the government's stand? I cannot answer the hypothetical question, we will cross the bridge when we come to it. Kolkata TV, Subhashish Moitra: Sir for last few months, UPA has been facing two major issues i.e. price rise and corruption. My question a)can it affect the alliance and can it break the UPA alliance from within and b) Is there any chance of having relations with the Left? CNBC Awaz, Sanjay Pugalia: Long term fund ki jarurat hai infrastructure ke liye, kafi dino se discuss hua hai ki kuchh karenge, lekin sabse jis growth ki baat apne abhi baat ki kuchh inflation hum isliye allow karenge kyonki growth chahiye to ye pending agenda hai. Kuchh specific kadam udhane ja rage hai aap jisase ki long term funding ho sake jo ki hamare recourses aur banking se to nahi ho paya. We must I think create a viable corporate debt market. I think that's the direction in which we must move. The other is to mobilise funds from outside. I think, there has been a discussion about the creation about infrastructure development fund. Some discussions are going on and most probably the finance minister will outline something in that direction. Inflation ke issue pe agriculture ka doosra structructural reform jo aapne 1991 me silsila shuru kiya wo overdue hai bahut ruka hua hai, batchit to hui hai uspar, kuchh concrete measures aap karayiye uske bagair nahi hoga! The basic issue there is the reform of the marketing system, now this is in the domain of the state governments, and we have been discussion with the state governments, with the chief ministers that they should do something in that area. It is an essay in persuasion, and somewhere we are succeeding, and some we are not succeeding. So we must persist that's the only way in federal polity that we are to move forward. NDTV, Pronoy Roy, : You have now three and half years to go for next election. Normally the first period after election is a honeymoon period and most enjoyable and most decisions are taken. Its not been the case it has been pretty tough year and a half. You are facing a kind of double incumbency going to the next election. Attacks from opposition and a lot of random attack from your party as well. Double incumbency is the worst way to face the second election. Opposition attacks you cannot control but within your party does it sadden you to see these attacks repeatedly happening popping up. Would you be happy to be a prime ministerial candidate if asked in the next elections . Well, It is too early we have still to long way. I have to complete this term. As far as next term is concerned it is too premature from me to speculate who will be the candidate. I would of course to like a cohesive party to back the government and I do not get a feeling that that cohesion does not exist. I think we are a democratic party, we have a lot of internal discussions. When decisions are taken, I think, our party stands united in support of the government. You are talking about unfair criticism of lame duck and the sense of drift that you the most honest prime minister are surrounded by a very dishonest administration. How will you change this drift. Are you going to have a major reshuffle? Well, I have said that after the budget session of parliament is over, there will be a restructuring -- a reshuffle of the Cabinet. I hope and I think I will get back to the task once the budget session of parliament is over. News 24, Anuradha Prasad : On the consensus with opposition of JPC. . Will the budget session be smooth unlike the last session? Puri puri koshish ki ja rahi hai ki koi na koi rasta nikal jaye aur mujhe asha hai ki aisa sambhaw ho sakta hai. On the cricket world cup -- and your favourite player. I am one with the wishes of my country men and women, that India should win this World Cup. I would not like to say that I choose among the players but I have some preferences, which I would not like to mention. CNN, Sara Sidner: On Food inflation versus GDP of say 8.5%. Let me say that the food inflation certainly hurts the poor. The poor labourers spend nearly 60 percent of their income on food items and therefore the food price rise disproportionately that does hurt the poor most. Now at the same time you must appreciate we have put in place a social safety net. The biggest single social safety net is the Mahatma Gandhi National Rural Employment Guarantee Programme which guarantees to each labourer who offers himself for employment a daily wage of Rs. 100/- to which we have said that we will adjust this wage with every rise in the consumer price index. So therefore I think, although the inflation does hurt, we have put in place social safety net which was not there six years before and that does not mean that we should not work together to improve I think the situation. Further more, I would like to mention that as far as the food grains distributed through public distribution system is concerned there has been no change in prices since year 2002. In the last eight years we have kept these prices constant so therefore where the public distribution system operates together with the real wage protection in view of the inflationary trends, these are the two most important means in which we are trying to insulate the poor from the ill effects of food inflation. New Live 24/7, Zarir Hussein: On North East peace process. Is the Government of India committed to a time bound solution to ULFA problem . NSCN talks have been going on for 14 years without tangible results. Your thoughts on Assam Election due in two months. I think, our government in Assam has done very well. The fact that peace process is also going forward is an added factor which would strengthen the ruling party in Assam. As far as the fixing of a time limit is concerned I think the process has just started. It would bring me greatest happiness if we can say that we can complete it immediately but I know that we are dealing with a difficult problem. It is an essay in mutual comprehension. We have just now started talking to ULFA, they came and called on me and I am very happy with what they told me and I assured them that the government of India is absolutely serious to find an honorable solution to the all these issues but it would be wrong on my part to say that right now I can fix the time limit that will be our effort. Will Congress make a hat-trick in Assam. I hope, I think they do. Upedra Rai, Sahara Samay: On GoMs decision to abolish minister's discretionary quota. How will you do that? Ye issue ek hai jo Congress president ne apne bhashan me aur all India Congress Committee ke Session me is baat ki charcha ki thi un tamam wishayo par batchit karne ke liye humne ek Group of Minister ko ye kam saumpa hai aur Pranb Mukherjee uske Chairman hai aur ek issue usme ye bhi hai ki jo discretionary powers Ministers ke hai unko khatam kiya jaye. Unhe iss baat par wichar karna hoga ki kya kuchh kiya ja sakta hai kya kuchh kiya nahi ja sakta hia. Abhi Saat ( sixty) din Unko diye gaya hai report dene ke liye. Main us report ka intezaar kar raha hu. On fall in FDI. Kahan galti hui. Galti hamari nahi huyi. International environment aisa hai ki funds, un dino me tamam emerging markets se fund kuchh wapas gaye hai. -- We are today functioning in an environment where what happens outside affects us. And therefore, it is not easy to say that what happens to the fund flow is entirely a function of our policy. It is also a function of what policies our other friends particularly the developed countries adopt and it is that process that is . But I do agree that we need to strengthen our resolve to create a favourable environment for larger flow of fund from aboard. Shahi Zamam, Star News: On moral responsibility towards corruption charges on the government. Mujhe apni jimmedari ka ehsaas hai. Isme aapko koi shak nahi hona chahiye. Lekin meri kuchh majbooriya bhi hai, Coalition politics me bahut kuchh sahna parta hai. Ya to phir ye ho ki yaha har 6 mahine me naye election karaye jaye. Aisa bhi karna uchit nahi hoga. So some comprises have to be made in managing a coalition government and those issues therefore have to be used in the context in which no single party, I think, emerges which can rule by itself. Have you every felt that the present politics is not suitable to your nature as a large part of your life has been outside it. Bahut si chijen hai jo mere mizaz ke sath milti nahi hain. I have looked upon life as one long continues learning and relearning process and for me I think it has been a great educational experience, from civil service, from academic world to the political world I think it is a process of learning and I certainly relish that experience. Arnab Goswami, Times Now: On compromise with corruption because of coalition; On Devas deal -- delayed action -- backroom talks in PM's office . There have been no backroom talks. I think I have not met anybody myself and the decision of the Space Commission to annul the deal was taken on 2nd July, 2010. Space Commission took a number of decision of which annulment of the contract was one of them. The Dept of Space was asked to take action on all the five decision points that emerged from the Space Commission meeting. The issue of how to annul the contract required consideration by legal experts and the Law Ministry was consulted. A decision had to be taken on whether to annul the contract using article 7(C) or Article 11 or both read together. Eventually it has been decided that the Government should take a sovereign policy decision regarding the utilization of Space Band capacity which uses S Band spectrum having regard to the country's strategic requirements. I would like to mention that although the Space Commission took a decision to annul the contract in July 2010, the actual Cabinet note was received from the Dept of Space in the PMO only in November 2010. And even then there was a number of consultations to polish it up. At the most you can say that between November and now the Prime Minister's Office has got this note ready for the Cabinet. Decision has been taken now but it requires consultations. (Intervention) - After the receipt of the note for the Cabinet from the Dept of Space for preparation of the Cabinet note a number of ministries were consulted and the Dept of Space itself took six revisions of the note before finally submitting it for approval. It is certainly true that a number of letters were received by members of Space Commission including officials in the PMO from Devas after August 2010 including as late as a few days ago. Letters were also received in the PMO from the US Chamber of Commerce but no action was taken on any of these letters which were merely filed. At no stage was Dept of Space asked by the PMO to comment on the points made in the letters. They have no impact whatsoever on the processing of the case. On the contrary, the PMO followed up its verbal reminders to Dept of Space by sending a letter to the Dept of Space in October 2010 seeking a status of follow up of the decision taken by the Space Commission in its July 2010 meeting. The matter was never raised by the German minister of foreign affairs during his meeting with me in New Delhi on 18 October. I think some people have reported that the German Foreign Minister raised it with me. The meeting did take place but he never mentioned anything. It is a fact that the meetings did take place between Devas and officials of the Dept of Space, ISRO and Antrix after July last year since the agreement had not actually been annulled. 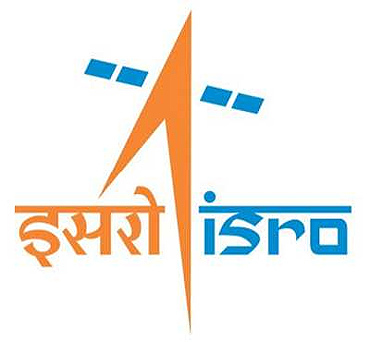 But no further actions were taken by the Deptt of Space or ISRO to implement the agreement. No assurance was given in contravention of the recommendations of the Space Commission. Though there has been some delay in processing which were only procedural. The fact is that the contract was not operational in any practical sense and there was no question of diluting in any way the recommendations of the Space Commission. All the consultations are now almost complete. The ministries concerned have all had the opportunity to express their views as is required before having policy decisions taken by the government at the level of the Cabinet, and also because this issue concerns many other ministries apart from the Dept. of Space. These include Deptt of Tele-communication, Defence, Home, Finance and Law. The matter is expected to be put before Cabinet Committee on Security for its final decision. That's the state of the affairs. There have been no effort in the Prime Minister's office to dilute, in any way the decision taken by the Space Commission in July 2010. On that I would like to assure you and through you I would like to assure the country. Ramakrishnan, SunTV: On fishermen issue with Srilankan government. I have been told that about 118 fishermen have been taken into custody. We are taking up this matter with the Sri Lankan government. We take a very serious view. I think only earlier in this month, the Foreign Secretary to make a strong demarche ..This kind of behaviour is not acceptable among neighbouring countries. Tamil Nadu is going for assembly elections. What is your assessment on TN elections? I am not an astrologer but I do hope that the ruling coalition will win. Sanjay Majumdar, BBC -- British Aid -- Why do we still need the international aid? India still is a poor country. And it is certainly true if aid is not forthcoming we will not collapse but I think we have the capacity to make good use of development assistance and if some friendly country offers large amount of money by way of concessional development support, I don't see reason why we should decline to accept. Image of India taken a beating after the scams. Let me say that this sort of atmosphere is not good. It saps our own self confidence, it also spoils the image of India and therefore I urge each one of you that in reporting these events, while opinions are a matter of speculation, facts are sacred. And facts should not be distorted. Opinions, you can freely express views, which are one's held convictions, but we owe it to our country that when it comes to reporting country's affairs, atleast when it comes to dealing with the facts, they should be as objective as is possible. Satish K Singh, Zee News. Aapne yeh press conference kyon bulayi? Brashtachar ke mudde pe aap bahut serious hai. Lok Pal, Black money, state funding of elections. Malam in budget. Will you accept any of your mistakes. A Group of Ministers is looking into all aspects of how to deal with corruption. Also it is not certainly true that we have not dealt with black money problem, the effort is on to sign treaties or to revise treaties which would enable us to get information from the affected countries where this money is stored. We will take all possible measures to control this menace of black money, to bring back to our country the money which is legally ours. CNN IBN, Rajdeep Sardesai Home Minister spoke of the governance deficit, your telecom minister spoke of zero revenue loss on 2G, these are two statements. 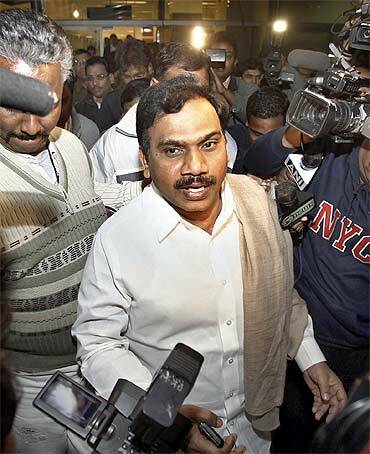 Where do you stand in the 2G scam, where do you stand on the Home Minister's governance deficit statement. Obviously if the events have taken place, they do bring out the weaknesses in the governance, or you may call them ethical deficit, I don't deny that we need to improve the quality of governance that's not a subject which divides me and other members of the Cabinet. With regard to the loss of revenues, it is very much dependent on what is your starting point. There are various estimates, but you have to assess what is the right magnitude after asking yourself what was the right price. Now, I have explained to you that the then existing policy of the Government was that auctions should not take place. And if auctions are not taking place then what is the basis for you to calculate a loss. I am not in a position to say that there is a foolproof method in which one can determine the extent of the loss. It is very much a function of what is your starting point. And also depends upon our opinion we have a budget which gives subsidy for food, 80,000 crores per annum, some people may say these foodgrains should be sold at market place. Will we say then because they are not sold at market prices, because you are giving them a subsidy, it is a loss of 80,000 crores. We give subsidy to fertilisers which cost about 60,000 crores every year people can say that these fertilisers should be priced at the market rate, would you then say that there is a loss of revenue of 60,000 crores in fertilisers sale. We subsidise the price of kerosene to an extent which is greater than many other subsidies, that imposes burden on our oil marketing companies, should we say then that because we give subsidy for kerosene sales under public distribution, that there is loss of revenue. Are you disagreeing with what CAG said, or are you agreeing with what your telecom minister has said. I think the CAG himself has said that it is presumptive loss. And therefore, it depends upon which assumptions you make. I would not like to intervene. Times Now, Arnab Goswami In October you said 90 days for CWG probe, it is now more than 90 days. Do you feel disappointed with the progress of the CWG probe? We are trying our very best but we had to go through the due process of law. We are a country where the rule of law prevails, sometimes, it is very frustrating that it takes time. But you have my assurance that wrong doers will not escape this time. NDTV, Pronoy Roy: It is very difficult to calculate the loss. There is subsidy in the allocation of 2G licences. Do you think it should have been an auction. I think you have to take a decision at that particular time. Of all the decisions that I take, it is 7 out of 10 turn out to be correct. The shareholders of a normal corporation will say a job well done. We are living in a world of uncertainty. Many things ex-ante you think do not turn out to be ex-post. Therefore there is a gap between ex-ante thinking and what has emerged as a reality subsequently. It is a big regret that these irregularities have happened, these should not have happened. That is certain I am not very happy about these developments. Achievements, the very fact that despite very unfavourable international economic environment, we have managed to ensure that our economy's growth rhythm is not grossly affected.